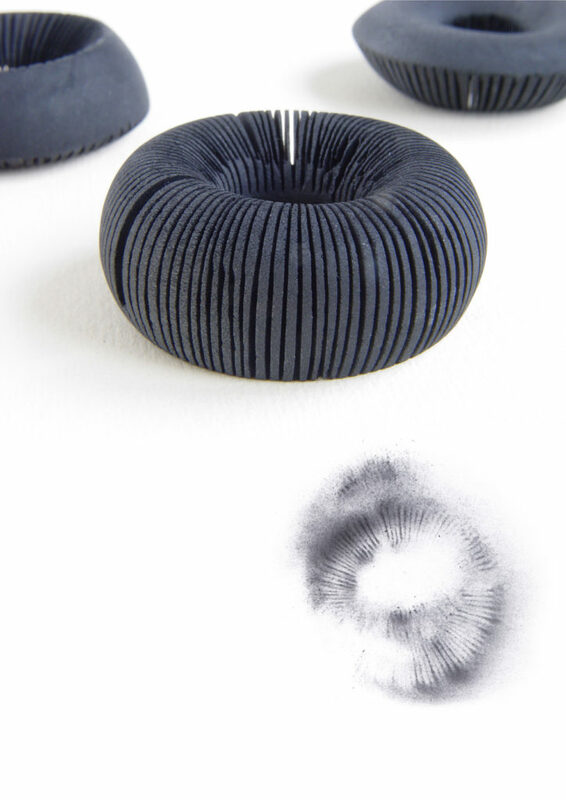 The basic material used in this jewellery collection is charcoal. The theme of these pieces is Nature and Time. This collection consists of rings, a pendant and a bracelet. The rings resemble shapes of mushrooms caps. 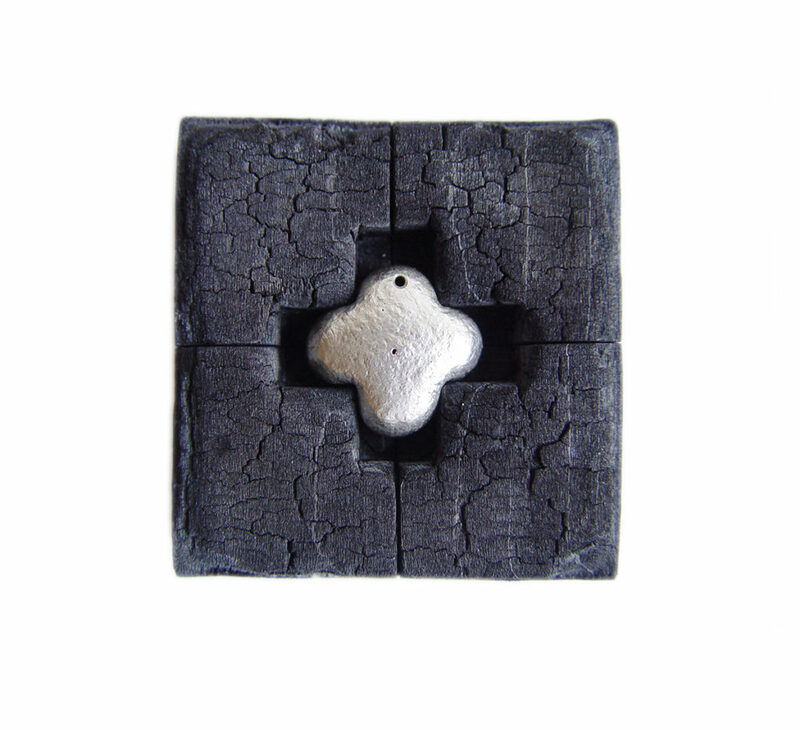 The pendant is a cross, with its shape determined by the charcoal base. At the beginning there was a charcoal board with a cross shape hollowed deep in it. The mould was filled with pieces of silver, subsequently melted. 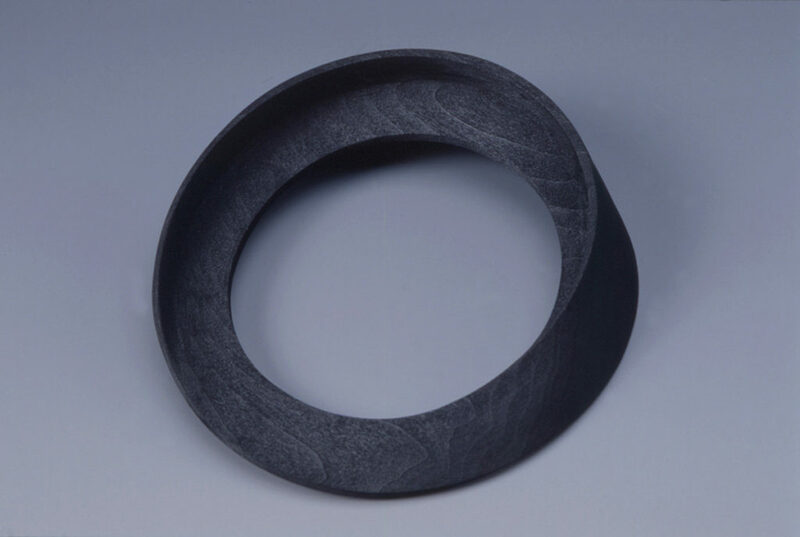 This process has changed a shape of the charcoal board and gave shape to a silver pendant. The bracelet takes on the shape of a never-ending strip.